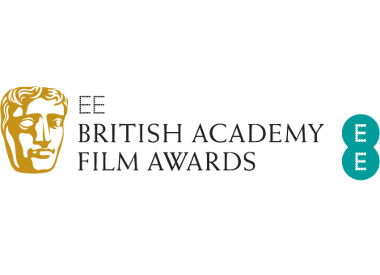 In recent years the British Academy of Film and Television Arts Awards (or BAFTA) has come into its own as an award show. In the past it was seen as a poor relation to the Oscars, but with a switch in date – that has set the BAFTA before its American counterpart- the awards are now seen as a strong indicator of who will win at the 82nd Academy Awards. Braving some pretty terrible weather (snow is something that the Brits haven’t managed to overcome) I travelled down to London to attend the event. After checking into my hotel room and grabbing a bite to eat, I suited up in my best tux and black tie and headed off to the Royal Opera House to be met by screaming fans and camera-ready press. Yes they weren’t there for me, but they were there for the A-list celebrities who were attending the event – guests included Avatar director James Cameron, Kate Winslet, Kathryn Bigelow, Colin Firth and Twilight’s Robert Pattinson and Kristen Stewart. As I was there a touch on the early side, I decided to get myself an orange juice at the nearest watering hole (there were quite a few to choose from in London’s West End). Upon entering I saw a few gentlemen having a drink (I wouldn’t necessarily call it quiet), they were wearing BAFTA passes and on first assumption I presumed that they were security or stewards for the event. As it was pretty obvious that I was attending the awards ceremony (the penguin look is a bit of a giveaway), we struck up a conversation. It transpired that they were in fact the writers of the event – Jim Pullin, Shaun Pye and Fraser Steele; they were also writers for the host Jonathan Ross’ chat show – aptly titled, Friday Night with Jonathan Ross. However, the time then came for me to take my seat in the Linbury Studio Theater, which adjoins the Opera House (I’m not lucky enough to be allowed to loiter with the real A-listers). In the Linbury there was a panel event where the awards of the night were discussed by a panel that consisted of Producer Stephen Wooley (The Crying Game amongst others), Radio Presenter Francine Stock Comedian Ben Miller and Time Out London‘s Film Editor Dave Calhoun. Once the awards started there was much pleasure that The Hurt Locker was the main winner of the night and a lot of excitement over director Duncan Jones winning an award for the sci-fi film Moon – he delivered a tearful acceptance speech. When receiving his Best Actor award for A Single Man Colin Firth delivered a witty speech, thanking the gentleman who came to fix his fridge, and I was quite pleased when Up In the Air won Best Adapted Screenplay. A great deal of eye rolling ensued when Kirsten Stewart was given an award for rising star – but at least everyone gave her (some) credit for appearing incredibly embarrassed while accepting the award, which was subsequently voted for by a legion of Twilight fans. There was also quite a bit of cheering when Christoph Waltz won for his role as Hans Landa in Quentin Tarantino’s Inglourious Basterds – not that it was a surprise, as the man probably needs an extension added to his house to store the accolades that he’s accumulated since the release of the film. When the awards ended, an extra pair of seats were brought out beside the panel. The foursome was joined by Stuart Hazeldine, director and producer of the low-budget British film Exam. The pair’s chat was just about to delve into greater detail about the film’s production and origin when they were ushered off stage to make room for award winners Carey Mulligan and Colin Firth. Firth offered some great insights into the British film industry (giving a lot of support for the romantic comedy genre) and seeming very glad that he is now entering a new (serious?) phase in his career. Mulligan appeared a bit shell-shocked by the night’s proceedings, and the chat was mainly dominated by the admittedly charismatic Firth. The duo were again ushered off to make way for Best Supporting Actor winner Christoph Waltz and Moon director Duncan Jones. Waltz was, like Firth, charismatic and self-deprecating about his win (and its career implications) and he was very complimentary of Quentin Tarantino and his directing style. Jones on the other hand was very quiet, but happy that his little $5 million dollar film was rewarded during the night. He also said that his main job on set was trying to “freak out” star Sam Rockwell. The director said how he tried to copy the actor’s beard and haircut to add a creepy aspect to his time on set in order for Rockwell to give the right type of performance. The night ended with a raffle for those attending – gifts ranging from champagne and a nominee goodie bag to Avatar place mats (!? ), Sadly this writer went away empty-handed – although guests did get a minor goodie bag of their own, which was sadly worth a lot less than the thousands of pounds that the nominee gift bags were worth. The night was fun and highly entertaining and well worth my time and effort to get there (which included standing on an overcrowded train for three hours!) I hope that I was able to give you a flavor of what it was like being there, and that I was able to offer you a sense of the buzz and electricity that permeated the evening.